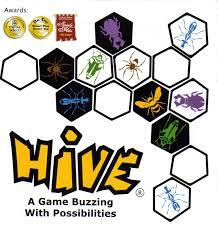 Hive is a great 2 player quick game that is great with students of all ages. This would be a good one to have around the house as well. It is a bit chess like in thinking, but easier and less intimidating than chess. The video review & directions are quick and will have you up and buzzing around in no time! Here is a link to Hive on Amazon.